2017 made a promise to beat the competition via some marketing tools that would make tracks on lead generation campaigns this 2018: Guestpost.com, IFTT, Wyng, Adwords Performance Grader, Colibri.io, Crazy Egg, Agorapulse, Todoist, Nuzzel, Social Image Resizer Tool, Wistia, Keyhole, Bananatag, VWO, and OptimizePress were the top recommendations. These tools were told to help maximize posting efforts, automate tasks, integrate one task with another like landing pages with existing software, identify expenditures, monitor conversions, customize images and insight on analytics. 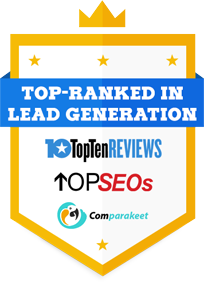 But has these tools paved the way for better lead generation campaigns this 2018? Convertr shared, 38% of leads generated were invalid due to incorrect details like false names, invalid email and invalid phone numbers. These were processed leads, which means that time, money and effort have been spent in acquiring them but just went to nothing. 70% of CRM data is useless. These are false, outdated, incomplete or duplicated data filtered during database cleanse that eventually becomes uncontactable. 45% of data is submitted on a mobile device. This is a top concern on user experience for forms, landing pages, and on-form technology. Since almost half of the leads are generated thru mobile devices, every collateral you create must be mobile-compatible. Hubspot reports that 65% of businesses are still challenged in generating traffic and leads. However, some slight changes were seen such as increased touchpoints between consumers and brands across growing platforms and devices, an opportune process to closely look into the kind of leads generated. 93% of B2B companies claim content marketing generates more leads than traditional tactics as per Marketo and Forbes. Your content marketing success depends on the kind of content you create and publish. 93% of B2B buying process starts with an online search as per Pinpoint Market Research and Anderson Jones PR. Aside from reinforcing the importance of successful content marketing is putting emphasis on paid advertising in your search marketing efforts. 96% of website visitors are not possible buyers, Marketo found out. Getting high traffic on your website is not enough so a good lead nurturing process is required. 68% of B2B companies will still be using landing pages to nurture new sales leads for future conversion. Landing pages with more specific messages are likely to answer website visitors queries. B2C companies that publish blogs more than 11 times per month generate 4x more as many leads than those who blog only 4 to 5 times per month, As per Hubspot. Although this is statistically true, marketers have to make ensure quality over quantity and understand that search engines work best for unique, detailed content over repetitive/short pieces. Despite the growth of new innovative tools marketers continue to encounter lead generation challenges. Looking into the brighter side, this cycle will keep the marketing world competitive as emerging challenges will drive marketers to build better and greater marketing tactics year after year.